Small nuisances can settle inside birds or on their skin and weaken the affected bird by, for instance, sucking its blood. Veterinarians call internal parasites endo-parasites, whereas external parasites are called ecto-parasites. 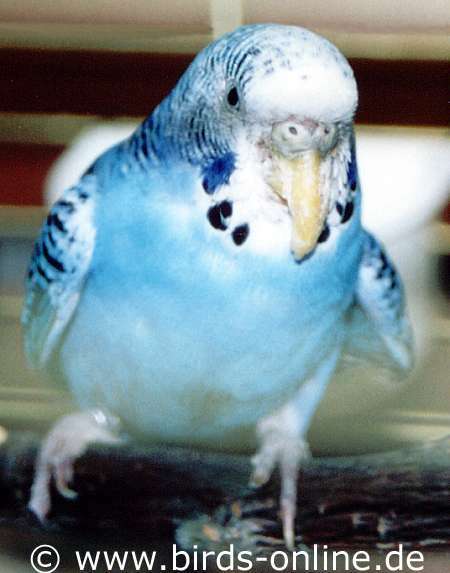 Both groups of parasites can endanger the life of the budgie or of any other pet bird if the owner doesn't intervene in time. 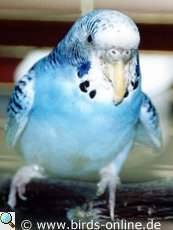 Scaly face, which is caused by a burrowing mite and is harmless early on, can be life-threatening if the beak of the bird breaks off due to the many tunnels the mites build. Blood-sucking mites can also weaken the affected bird extremely by disrupting its sleep at night and affecting its immune system in a negative manner. It is thus a gate-opener for infectious diseases. In conclusion of this short introduction, I would like to mention that a parasite infestation is unlikely in a bird that has been kept inside and on its own. Most parasite varieties are being transmitted from one bird onto another and can thus affect only a group of birds if there is fluctuation. Roundworm infestations are only possible if a bird that is kept inside the house comes into contact with the eggs of this endo-parasite. This should rarely be the case since these eggs can be found in places like soil. You should thus proceed with caution if you suspect a parasite infestation before reverting to self-medication. It is possible that you might do more damage than you might realize. Most parasites can only be tackled successful with poison; something that should be deliberated beforehand and discussed with an avian vet! 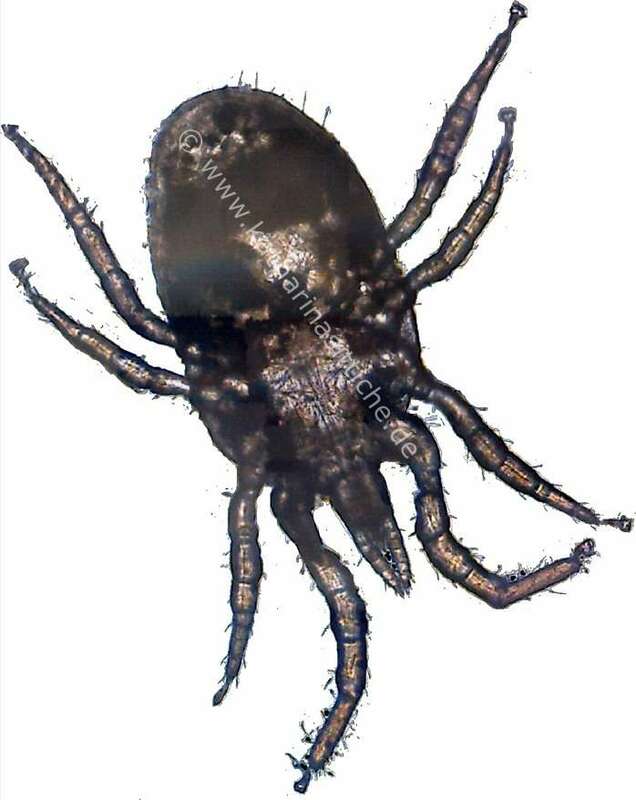 Never use anti-mite treatments available in pet stores without consulting a vet first! Most of them contain toxins that can be fatal for birds if the usage is slightly wrong. Here in Germany, one can buy a treatment called Exner Petguard, which does not contain any toxins but lactic acid instead. It is effective for external parasites. Maybe something similar is available in the US, in Australia or other parts of the world. You should ask in your local pet shop for a treatment like Exner Petguard. English translation of this chapter: Melanie Ebenhoch.